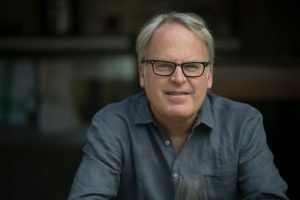 Holland America Line is tapping into the expertise of one of the world’s most acclaimed wine critics, James Suckling, to curate an extensive new wine list that will be featured on all ships in the premium fleet. As Holland America Line’s official Wine Curator, Suckling will lead the design and development of the premium line’s wine offerings and provide wine selection tips on the menus and wine lists of all shipboard dining venues and bars. Holland America Line currently features more than 300 labels from more than 30 countries, and Suckling is working with the cruise line to review and craft a new vision for the wine program. When the list is complete, a large majority of the selection will have an impressive rating of 90 points or higher — based on Suckling’s own 100-point scale. Holland America Line expects to have the new list in place fleetwide by the end of 2018, in time for the launch of Nieuw Statendam. Suckling began his wine critic career in 1981 as an assistant editor for Wine Spectator magazine. Four years later he moved to Paris, France, to establish Wine Spectator’s European bureau. This put him at the center of European wine production and cemented his relationships with thousands of vintners, as well as contributed to his expanding knowledge of wines throughout the continent. In total, Suckling spent nearly 30 years as senior editor and European bureau chief of Wine Spectator and as European editor of Cigar Aficionado. In 2010 Suckling launched JamesSuckling.com, a site that evolved from seeing a need for wine information to be communicated in a more modern way. Suckling and his team of critics rate about 17,000 wines a year, and Suckling estimates that he’s tasted close to 200,000 wines in his career. Suckling also promotes and creates pieces for Lalique, the famous French crystal manufacturer. He also makes documentary movies. In 2017 Suckling received a knighthood from the Italian government — Cavaliere dell’Ordine della Stella d’Italia — for his decades-long coverage of Italian wines. He also recently received an honorary citizenship from the town of Montalcino for his almost 40 years of writing about and rating Brunello di Montalcino. Suckling is the father of Jack and Isabel. Jack is the tasting editor for and has tasted 5,000 wines for JamesSuckling.com. Suckling’s wife, Marie Kim-Suckling, a former wine merchant originally from Seoul, South Korea, is vice president of the international media wine company. He still lives near Florence, Italy, part of the year, as well as in Hong Kong, China, and in Napa Valley in California. For more information, visit JamesSuckling.com. Visit James Suckling on Twitter, Instagram, Facebook and WeChat as well as JamesSuckling.com. Filled Under Blog, cruisenews, gallery, new ships, News, What's New? Queen Latifah – Grammy award-winning musical artist, acclaimed television and film actress, label president, author and entrepreneur – has been named the godmother to Carnival Cruise Line’s newest ship, Carnival Horizon. Latifah will participate in the ship’s official naming ceremony as well as a special “Lip Sync Battle: Horizon” showcase that is part of the line’s authentic shipboard reproduction of the hit Paramount Network series. The event will be held during an invitation-only overnight gala onboard Carnival Horizon in New York City on May 23, 2018. Currently starring in the FOX series “STAR,” Latifah is an incredible talent earning an Oscar nomination, a Golden Globe nomination and a SAG Award nomination for her portrayal as Mama Morton in Chicago. She also received an Emmy nomination, a Golden Globe win and a SAG Award win for performances in both “Life Support” and “Bessie,” an HBO biopic on the legendary jazz artist Bessie Smith as well as accolades for her performance as the title character in NBC’s The Wiz Live! The first hip-hop artist to be honored with a star on the Hollywood Walk of Fame, Latifah has earned six Grammy nominations and a Grammy Award for Best Solo Rap Performance. Her production company, Flavor Unit Entertainment, has quickly grown to prominence, producing award-winning television shows, blockbuster hits and independent films for a variety of Hollywood studios. ”With her fun-loving spirit and positive, can-do attitude, Queen Latifah embodies our brand and knows how to ‘Choose Fun’ in everything she does,” said Christine Duffy, president of Carnival Cruise Line. “Knowing that she is a long-time supporter of St. Jude and has performed and won ‘Lip Sync Battle’ made her the ideal candidate to serve as godmother to our newest ship,” she added. 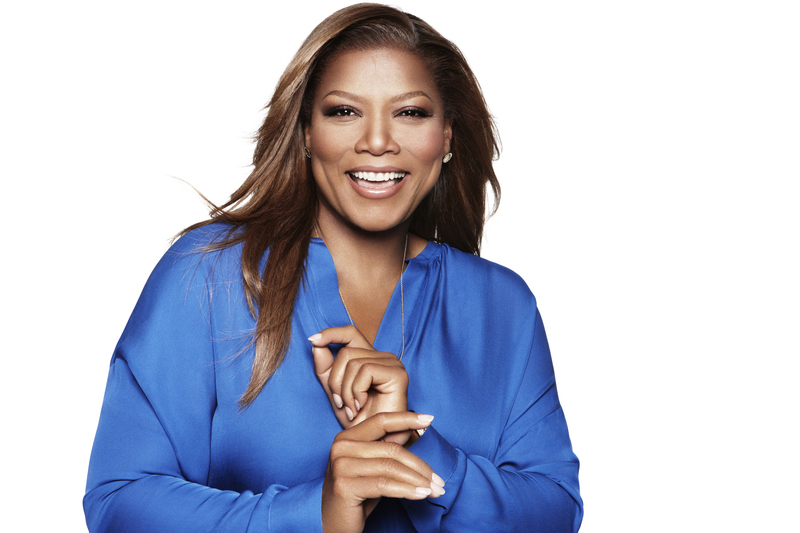 ”Carnival is an iconic American brand and it’s an honor to be named godmother of Carnival Horizon and take part in the event on May 23, honoring the special children of St. Jude – a cause that is very near and dear to my heart,” said Latifah. The May 23 gala will recognize long-time Carnival partner St. Jude Children’s Research Hospital with a check presentation from funds raised via various activities and events, both on board and ashore, leading up to the event. Additionally, Carnival will unveil special custom-designed artwork created by more than 30 St. Jude patients that will appear on the Carnival Horizon’s “Dreamscape,” a stunning three-deck-high LED sculpture that takes center stage in the ship’s atrium. 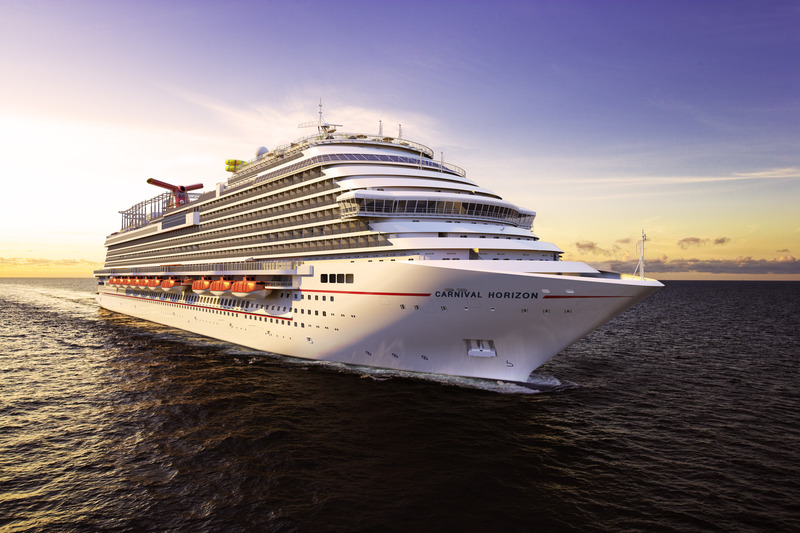 Following the event, Carnival Horizon begins her summer schedule from New York that runs through September followed by the launch year-round Caribbean cruises from Miami later that month. 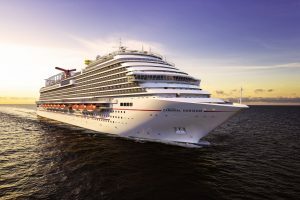 As the line’s newest ship, Carnival Horizon will introduce a number of one-of-a-kind innovations, including Guy’s Pig & Anchor Bar-B-Que Smokehouse|Brewhouse with BBQ favorites created by Food Network star Guy Fieri in addition to the first Dr. Seuss-themed water park, part of the line’s exclusive partnership with Dr. Seuss Enterprises, the groundbreaking bike-ride-in-the-sky attraction called SkyRide, an IMAX Theatre, and more. A wide range of accommodations will also be offered, including spa cabins with exclusive privileges at the luxurious Cloud 9 Spa, extra-roomy staterooms in Family Harbor, and tropics-inspired Havana staterooms and suites with exclusive daytime access to a Cuban-themed bar and pool. Filled Under Blog, cruisenews, gallery, new ships, News, Ship of the Moment, What's New? Seabourn, the world’s finest ultra-luxury cruise line, is readying an exceptional menu of dining options to delight guests of its newest ship, Seabourn Ovation. 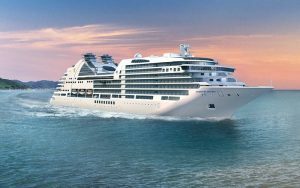 Scheduled to launch in May 2018, the fifth ultra-luxury vessel in the Seabourn fleet will set the table for world-class, award-winning dining with five restaurants, each in keeping with the high quality and inventiveness that has earned the line wide praise from culinary observers. Seabourn’s world-class dining rivals the finest restaurants anywhere, and Seabourn Ovation will be no exception. The line’s skilled chefs prepare gourmet dishes using fresh, seasonal ingredients and take inspiration from regional flavors, including new artisan gelato. The highly talented culinary team are experts in offering dishes that are designed to satisfy a range of appetites. Whether indulging poolside, in the comfort of a private veranda or in a more formal setting, all dishes are carefully curated and plated with an artistic eye. With a selection of dishes inspired by Seabourn’s partnership with world-renowned, Michelin-starred Chef Thomas Keller served in venues across the ship, including The Grill by Thomas Keller, and the remarkable design of onboard restaurants by hospitality design icon Adam D. Tihany, guests of Seabourn Ovation can look forward to the finest culinary experience on the high seas. • New Artisan Gelato – The ship will feature the line’s new milk- and fruit-based gelato, which will be made fresh daily and served across the vessel. Delivering a truly authentic product in both taste and texture, Seabourn’s talented chefs visited and trained at Carpigiani University in Bologna, Italy — widely recognized as the home of the leading gelato machine manufacturer in the industry – to perfect their knowledge of the history and techniques used for gelato making. Guests can choose from a wide range of milk-based flavors, including Amarena Cherry, Amaretto, Dulce De Leche, Stracciatella, Sicilian Pistachio, Extra Virgin Olive Oil, Bourbon Vanilla, and Cappuccino. The selection will also include fruit-based gelato flavors such as Blood Orange, Coconut, Kumquat, Mulberry, Wild Berry, Rhubarb, Yuzu, Black Currant, and Black Cherry. The gelato menu will also feature a local ingredient gelato as a “daily special” on voyages where the culinary team can procure the ingredients in select ports such as lemon when visiting the Amalfi Coast. Flavors will also include “no sugar added” gelato. The new gelato program will launch in April on Seabourn Encore and be available fleetwide by early 2019. • The Grill by Thomas Keller – Created via partnership with world-renowned American chef and restaurateur Thomas Keller, The Grill serves a timeless menu with updated versions of iconic dishes in an ambiance inspired by the classic ’50s and ’60s American restaurant. Seabourn chefs trained by Chef Keller’s team create a dining experience like no other at sea, with memorable delights such as tableside prepared Classic Caesar Salad; Lobster Thermidor; Medallions of Elysian Fields Farm Lamb; and Meyer Lemon Meringue Tart. The wine list, personally curated by Chef Keller to complement each dish, runs more than 90 domestic and old-world labels, including many rare offerings. Advanced reservations are required for The Grill. • Sushi – Sleek and unique with an identity all its own, Sushi is a standout destination for fresh, high-grade sushi created from the finest ingredients. Hot and cold offerings such as Salmon Tataki; Black King Fish Sashimi; and BBQ Eel Maki are available, and the sake menu features exceptional selections, many displayed against a lighted wall creating a work of art. Service is available through the day, including Bento boxes and select sushi features at lunch, with sushi chefs in action for all to see. This restaurant is only featured on Seabourn Encore and Seabourn Ovation. • The Restaurant – A fine-dining and open-seating gourmet experience, its extensive menus offer a wide variety of delectable choices and dishes prepared to order by the line’s expert culinary team. Choose an appetizer, an entrée (or vegetarian option), and a dessert with selections such as Black Truffle Risotto & Poached Egg; Char Broiled Iberico Pork Chop; Crisp Polenta and Mushroom Cake; and Hot Coconut Soufflé. On select nights, The Restaurant features a selection of dishes by Thomas Keller as well as favorites from Seabourn’s menu. The Restaurant also features an expansive premium wine selection showcased in an elegant glass wall. • The Colonnade – This casual restaurant with indoor and outdoor seating is the spot for breakfast, lunch and dinner prepared in open-kitchen style and offered via table service or lavish buffet. Look on as Seabourn chefs fashion an ever-changing array of regionally themed, bistro-style experiences such as Dungeness Crab Cakes; Roast Prime Rib of Beef; Potato & Beaufort Cheese Torte; and Baked New York Cheese Cake. Special theme nights feature Chef Keller-influenced family-style dinners that pay homage to his American childhood. • The Patio – Relaxed, casual, and located right by the pool, The Patio offers luncheon buffets and a full dinner menu with salads, pastas, soups, and grilled specialties, plus freshly baked gourmet pizza. Don’t miss Chef Keller’s signature Napa Burger developed exclusively for Seabourn, or his artisanal Yountwurst hot-dog named for the hometown of The French Laundry, Ad Hoc, and the original Bouchon. • In-Suite Dining – Seabourn Ovation offers an extensive menu of gourmet breakfast, lunch and dinner items around the clock, including course by course dinner from The Restaurant, to be enjoyed in suite or on your private veranda. • Cocktail Hour – Seabourn Ovation will feature seven lounges and bars with an accessible open-bar policy to ensure there is never a check to sign. Select venues also offer craft cocktails created exclusively for Seabourn by world-renowned mixologist Brian van Flandern. Every evening guests will find tapas served in the Observation Bar and a selection of canapes in The Club. • Seabourn Square – The veritable heart of the ship, Seabourn Square offers freshly baked breakfast treats and afternoon snacks. The baristas onboard also roast coffee fresh each day and prepare a variety of coffee and tea selections. • Afternoon Tea – Served daily in The Observation Bar, Afternoon Tea is welcome ritual for many guests and includes light bites such as scones and fresh baked cookies. When dining with Seabourn, guests can come when they like, dine with whom they please, and be seated as they wish in most venues across the ship. 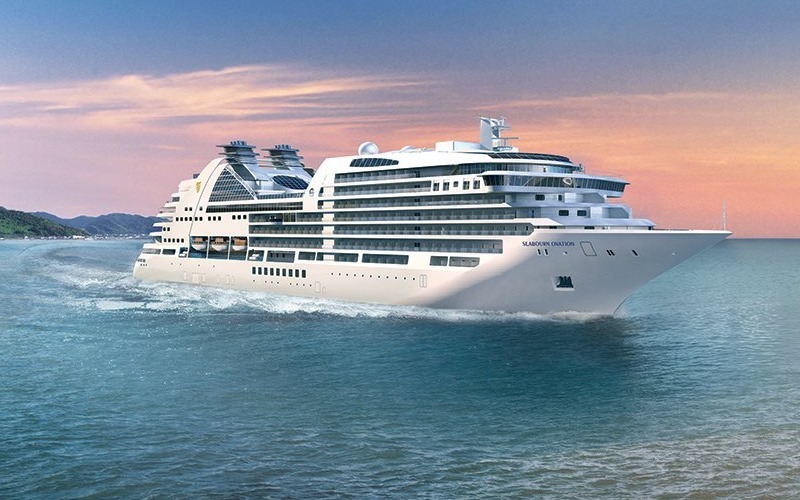 Seabourn will continue to reveal updates about Seabourn Ovation via the dedicated microsite: http://ovation.seabourn.com. Alive with imagery, details and news of the ship’s continuing progress, including “sunsets until launch,” the microsite offers an inside look at the excitement of the upcoming launch, with additional details, news and images revealed on an ongoing basis. Find Seabourn on Twitter, Facebook, Instagram, YouTube and Pinterest. Guy Fieri – a member of the American Royal National Barbecue Hall of Fame whose namesake burger joints are featured on 19 Carnival Cruise Line ships – will introduce a brand new full-service barbecue venue aboard Carnival Horizon when it debuts in spring 2018. An expansion of Fieri’s casual barbecue eateries on several Carnival ships, Guy’s Pig & Anchor Bar-B-Que Smokehouse|Brewhouse combines the best of both worlds: authentic, down-home smoked-on-board barbecue and traditional sides created by the renowned chef, along with a selection of distinctive craft beers brewed on board at a brewery located within the restaurant. The announcement will be made by Fieri at the State Fair of Texas in Dallas during the “Carnival’s BBQ Challenge with Guy Fieri” event during which kids from the local 4H Club were tasked to come up with unique barbecue recipes inspired by Pig & Anchor. The three finalists will each receive a free cruise and Carnival is making a $20,000 donation to the 4H Club of Texas in support of its mission of engaging youth to reach their fullest potential while advancing the field of youth development. Diners are encouraged to have lots of napkins ready as they enjoy Guy’s Smokehouse favorites such as brisket custom-smoked for 12 hours, Memphis-style baby back ribs, dry-rubbed and grill-finished chicken, pulled pork, and cedar-smoked salmon with an apricot glaze, all cooked “low and slow” using Fieri’s signature rubs and spices. All Smoke House items are served with coleslaw, sweet pickles, and golden honey cornbread or Texas toast. The restaurant will also offer Fieri’s signature dishes like Dragon Chili Cheese Fries featuring smoked beef brisket, cheddar cheese, onions and jalapenos; Trash Can Nachos topped with pulled pork, Bourbon Brown Sugar BBQ sauce and melted cheese; and The Smokehouse Melt, with pulled pork, sliced brisket, double smoked pork belly bacon, two slices of cheddar cheese, homemade pickles and donkey sauce. Side dishes are just as tantalizing with Fieri-created favorites like the Longhorn Cheddar Mac & Cheese, Beer-Braised Cowboy Pinto Beans, Sweet Potato Bourbon Mash, Mashed Potatoes with Red Eye Gravy and Burnt Ends, and Buttermilk Broccoli Salad with Bacon and Almonds. BBQ fans can spice up their dishes with the chef’s own sauces, including Kansas City (smoky and sweet), Sriracha BBQ (spicy and tangy), Carolina #6 (tangy and sweet heat) and award-winning Bourbon Brown Sugar (sweet and sticky), along with exclusive-to–Carnival sauces like Smokey Chipotle, Gold Coast Yellow Mustard, Black Pepper, and Burning Tomato. Paired perfectly with barbecue is a delicious and refreshing craft beer created by Carnival’s award-winning beverage team which includes Colin Presby, the only brew master in the North American cruise industry. Presby and team are developing four distinctive micro-brews specifically designed to pair with the venue’s wide-ranging menu. Specific details will be announced at a later date. Decadent desserts like freshly baked cobbler, piled-high banana cream pie and gooey pecan pie offer a sweet conclusion to a satisfying and memorable meal. The new 138-seat BBQ venue will be located along the ship’s Promenade with indoor and outdoor seating and authentic touches like ceiling tiles made of weathered galvanized siding, red brick walls, hardwood floors and booth and high-top seating with Fieri’s signature FLAVORTOWN catch phrase illuminating the full-service bar. The restaurant will be open from 5 pm ‘til late every night of the cruise with menu items offered on an a la carte basis and live music nightly. Guy’s Pig & Anchor Bar-B-Que Smokehouse|Brewhouse will offer a free-of-charge self-service BBQ lunch buffet from noon to 2:30 p.m. on embarkation day and sea days. Guy’s Pig & Anchor Bar-B-Que Smokehouse|Brewhouse will be among the dozens of different dining and beverage venues available aboard Carnival Horizon. These include the line’s first teppanyaki restaurant, the Cucina del Capitano family-style Italian restaurant, the Fahrenheit 555 steakhouse, the Mexican-themed BlueIguana Cantina serving authentic tacos and burritos, the 24-hour Pizzeria del Capitano, and the New England-inspired Seafood Shack. Carnival Horizon is scheduled to make its maiden voyage April 2, 2018, with a 13-day Mediterranean cruise from Barcelona – the first of four round-trip departures from that port. Carnival Horizon will reposition to the U.S. with a 14-day trans-Atlantic crossing from Barcelona to New York May 9-23, 2018. Norwegian Joy, Norwegian Cruise Line’s first custom-designed ship for the Chinese cruise market, was christened today in a lavish ceremony held onboard the vessel in Shanghai that featured an over-the-top performance by the ship’s Godfather, singer songwriter, music producer, actor and film director, Wang Leehom. At 167,725–gross-tons and accommodating 3,883 guests, Norwegian Joy features an innovative design, world-class finishes and amenities tailored to provide a “First Class at Sea” experience for Chinese guests, along with Norwegian’s signature cruising style that offers guests the freedom and flexibility to design their perfect vacation experience. In homage to Norwegian Joy’s eye-catching hull art, designed by famed Chinese artist Tan Ping and featuring a majestic phoenix, the christening ceremony began with a performance by renowned dancer and choreographer Yabin Wang, with her interpretation of the spirit of the phoenix through dance. Tan Ping, who also made a special guest appearance at the ceremony, selected the phoenix as the focal point for the ship’s hull artwork, as the iconic bird represents beauty and good luck in Chinese culture. The pinnacle moment of the christening ceremony came as Wang Leehom, Norwegian Cruise Line Holdings executives and local Chinese government officials simultaneously smashed bottles of champagne against the side of a replica ship hull, which released an oversized bottle of Veuve Cliquot that shattered against the ship’s actual hull, signifying the maritime tradition of bringing good luck to all who sail on her. Wang Leehom, who serves as Godfather and brand ambassador for Norwegian Joy, ended the ceremony with an electrifying performance that wowed the crowd of VIP Chinese and Western guests. “I’m honored to officially welcome this incredible ship to China and share the cruising lifestyle with Chinese guests as the Godfather for Norwegian Joy,” said Wang Leehom. 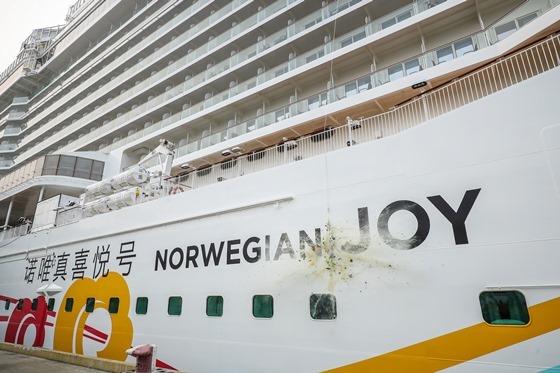 Norwegian Joy’s christening marks the end of a month-long grand inaugural tour where she has been showcased through events at the ports of Singapore, Qingdao, Shenzhen and Hong Kong, as well as VIP partner cruises from Norwegian Joy’s homeports of Shanghai and Tianjin. Norwegian Joy is Norwegian Cruise Line’s first purpose-built ship customized for the Chinese cruise market. The ship was designed to provide First Class at Sea experiences with onboard amenities that cater to the unique vacation desires of Chinese guests. Norwegian Joy offers a multitude of VIP accommodations including The Haven by Norwegian®, the brand’s exclusive, ship-within-a-ship luxury suite complex, and a Concierge level, an all-new accommodations category that provides a VIP experience that includes an exclusive Concierge Observation Lounge with 180 degree breath-taking views and larger balcony staterooms. Accommodation choices also include staterooms designed specifically for families, with a multitude of connecting staterooms for extended families traveling together, as well as a wide array of mini-suite, balcony, ocean view and interior staterooms, many with virtual balconies. Norwegian Joy boasts engaging and innovative activities including a first-at-sea two-level competitive racetrack; an open-air laser tag course; the Galaxy Pavilion that features thrilling simulator rides, Oculus virtual reality technology and interactive video walls; and two multi-story waterslides. In addition, Norwegian Joy features 28 dining options that range from traditional Chinese cuisine to upscale French, Italian and Steakhouse fine dining restaurants, along with a tranquil open space park, as well as the line’s largest upscale shopping district, complete with everything from exceptional duty-free shops to world-renowned global luxury brands. For more information on Norwegian Joy, please contact an authorized Norwegian travel partner or visit www.goncl.cn (in China) or https://www.ncl.com/norwegian-joy (in US) or follow Norwegian Joy’s official wechat: NuoWeiZhen. Ultra-luxury cruise line Silversea welcomed VIPs and other distinguished guests to Port Hercule in the heart of Monaco yesterday, including His Serene Highness Prince Albert II of Monaco; His Excellency Minister of State of the Principality, Serge Telle; His Excellency Archbishop of Monaco Barsi; Mr. Peter Greenberg (CBS-TV Anchor and News Travel Editor, Master of Ceremony); Mr. Geoffrey Kent (Abercrombie & Kent Founder) and Mr. Gerald Lawless (Chairman of WTCC), for an intimate ceremony marking the christening of the latest addition to the fleet, Silver Muse. The historic celebration, hosted by Silversea Chairman Manfredi Lefebvre d’Ovidio, was honored with incredible performances by the Sinfonietta Orchestra of Rome and renowned violinist Charlie Siem, both of whom enriched the ceremony with sublimely moving musical renditions. Silver Muse, the ninth ship in the Silversea fleet, caters to the most discerning passengers at sea, offering the highest expression of elegance and comfort while aiming to redefine the ultra-luxury cruising experience. Over the past two weeks, guests from around the world were invited to preview the new flagship on a number of exclusive voyages in the Mediterranean. Initial feedback from media, as well as trade and industry representatives has been overwhelmingly positive, with the quality of the finished Fincantieri vessel and Silversea’s level of service by the Silver Muse crew exceeding guests’ expectations. Accommodating 596 passengers, the ship boasts an unrivalled selection of dining options on board, including three restaurants new to the Silversea fleet: Atlantide, a seafood and grill concept representing the ultimate in culinary excellence and creativity by using the finest ingredients sourced from around the world; the Asian-accented Indochine; and an Italian-themed poolside restaurant, Spaccanapoli, which serves homemade Italian pizzas throughout the day. With the addition of these new culinary venues, Silver Muse guests have a choice of eight onboard restaurants and the freedom to dine on “anything, anywhere, at any time” on the ship. Silver Muse is also home to the unique Zàgara Beauty Spa, which offers a relaxing sanctuary while transporting guests on a journey of the five senses tailored to their individual needs and preferences. Monaco is not merely the base of Silversea’s operations; it is also the home of the company’s proud Monegasque history. Silversea shares the culture, traditions and values of the Principality with the world, with its nine ships visiting more than 900 different ports of call each year. For information on Silversea’s flagship, Silver Muse, click here. To discover Silversea’s unrivalled list of destinations and itineraries, click here.